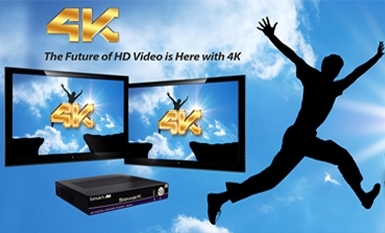 One of the biggest issues with all the new 4K technology that’s coming on the market today is how users are going to properly distribute that 4K content to their incredible high-resolution 4K Ultra HD screens. 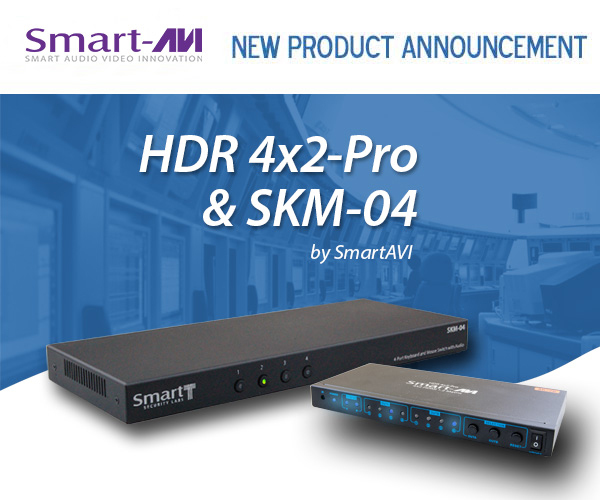 At SmartAVI, we are continuing to develop our line of 4K/2K products so that systems architects and end users can get the most out of this exciting technology. 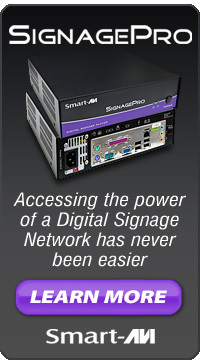 Categories: 4K Ultra HD, digital signage hardware, hdmi, video switch | Tags: 4K, digital signage hardware, hdmi, hdmi matrix, video switch | Permalink. 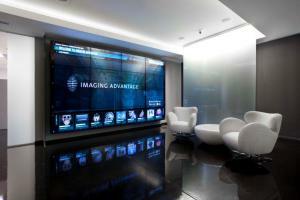 SmartAVI is continually innovating to deliver the latest in professional A/V solutions at low prices. 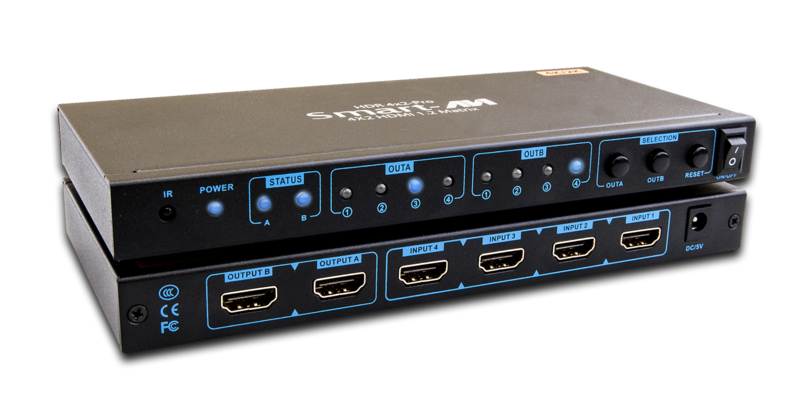 Today, we’re pleased to announce two new and aggressively-priced products: the HDR 4×2-Pro, an HDMI matrix switch with support for stunning 4K/2K resolution, and the SKM-04, a 4-port KM (keyboard and mouse) switch. 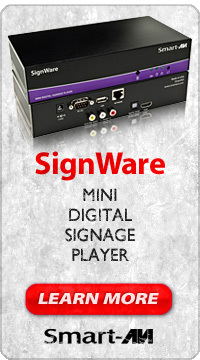 Categories: digital signage, digital signage hardware, hdmi, hdmi matrix, hdmi switch, keyboard video mouse, kvm, video, video switch | Tags: digital signage, digital signage hardware, hdmi, keyboard video mouse, kvm, video switch | Permalink. 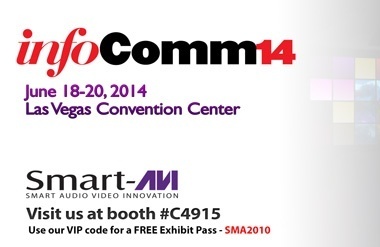 SmartAVI is proud to announce that we’ll be at InfoComm 2014! This important trade show highlights all the latest developments in our industry, and we are excited to be sharing our newest products as well. 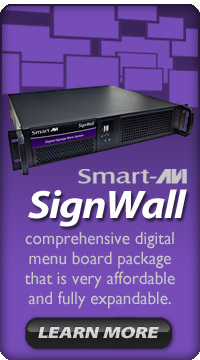 Categories: digital menu, digital signage, digital signage hardware, digital signage software, dvi-d, hdmi, hdmi switch, Multiviewer, video wall, video wall hardware | Tags: digital menu, digital signage, digital signage hardware, digital signage software, fiber optic, hdmi, video wall, video wall hardware | Permalink.